Congratulations on your book, it’s a real stem cell tour-de-force. Can you tell me what motivated you to start writing this? I’d been working on my stem cell blog for about three years and finding it really rewarding as an additional element to my professional life. It occurred to me that I could probably expand the audience further by putting some of my thoughts down in the context of an actual book. One of the things I did was to go on Amazon and look at the different books that were out there on stem cells. I found that there is this big gap: some are probably over-simplified, but most of them are way too scientifically dense, half a sentence on half a page, that sort of thing. I couldn’t really find the kind of book that I would have liked to read, or that a friend of mine who is not a scientist but is interested in stem cells would want to read. I tried to write that book, and hopefully I was successful. So your book is aimed at both scientists and non-scientists? I’m hoping to have a book that scientists will enjoy but also a wider audience can comfortably read and understand. I also want to challenge people to think, but I don’t want people to feel like they are reading a textbook. I aim to be in the middle, where people are challenged, but not overwhelmed. I think you do challenge people, partially because you present many different views, not just your own. I went into this project trying to write a book that has a unique voice. Like you said, I do try to include other people’s opinions, but I didn’t shy away from including my own. And so that is a little different, or actually really different, from what we are formally taught in science. I intentionally said in the book that these are actual opinions, not necessarily facts. I think that’s helpful because it gets people’s attention, even if they don’t necessarily agree with me. Maybe it makes them think in a new way, makes them talk about it and gets a discussion going. I also wanted to get some humour in there, because even if it is a little edgy or risky, it’s also kind of fun. You are also a cancer survivor. Was there a more personal motivation for demystifying the stem cell hype? Yeah, that definitely played a role in all of this. Having cancer has really opened my eyes to the fact that there is another side to this: the patient side. I think for me, having been a patient, it helped me to empathize and connect more with patients in the stem cell arena, because they are very vulnerable. They are often facing very devastating diseases and injuries and they don’t feel like conventional medicine has anything to offer them. So I try, by my own experience as a cancer patient, and also as a stem cell scientist, to help them in whatever way I can. But also I empathize with the situation they are in, because often times they’re willing to take more risks than I am comfortable with. They have a different perspective and I try to respect that. I try to take that patient perspective with me and put it into the book. I don’t think it is good to just write a book about stem cells without including things that are important for the patient. Having been a patient myself, it helps me to be more conscious of those issues. 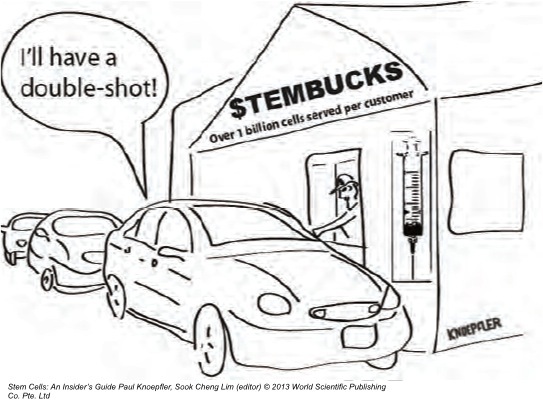 You talk in the book about stem cell tourism and the problems it creates for patients and for the field. 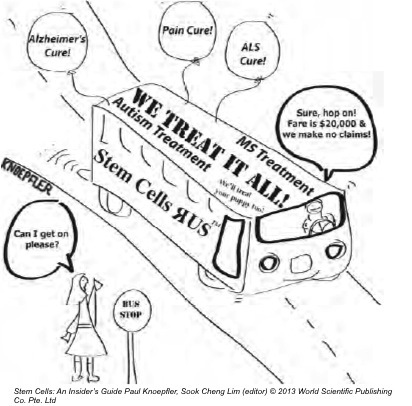 Whose responsibility do you think it is to crack down on stem cell tourism? That’s a great question, and I don’t necessarily have all the answers. I don’t know if people are aware but there is a sort of ad hoc group of stem cell scientists and bioethicists around the world who have been activists on this issue. And I include myself in that group, because we as individuals are putting ourselves at risk, promoting evidence-based medicine in the stem cell field and encouraging patients to ask more questions before jumping into a risky situation. Many of us, including myself, have experienced being threatened with litigation and serious retaliation in other ways. So I don’t think that model is really going to work in the long run because it puts too much risk and responsibility on individuals as human beings. And I am not saying that there isn’t a role for individuals, but I think that somehow we need to have a higher level response to stem cell tourism. While down here in the trenches there isn’t a whole lot of concrete data on stem cell tourism, there is definitely a feeling that the problem is accelerating, so I don’t think that just a group of ad hoc individuals is going to be able manage it. The FDA, at least in the jurisdiction of the US, has a responsibility to work on these issues. But it starts becoming very complicated when you are dealing with international companies, because the FDA doesn’t have jurisdiction outside the US. So then it really comes down to education. You’ve clearly tried to address this with your book, but is there a greater need to educate not just patients but doctors as well? That is definitely something that I have advocated for. I proposed earlier this year for medical schools to start having a formal stem cell training program for physicians (see http://www.ncbi.nlm.nih.gov/pubmed/23477401). If you have a gastrointestinal problem, you want someone who has years of training dealing with gastrointestinal problems. It’s the same kind of thing with stem cells. I want patients to raise their expectations and to ask more questions. So I think you’re totally right, education might be in the long run the most effective way to go, so that patients and potential patients who think that they might want to get a stem cell transplant actually have resources that they can easily obtain. So that they can think “Ok, I should be asking this question, I should be asking that question, I should be skeptical about this” and so on. I am a real believer in outreach and education. In your book you list over 10 different diseases that may be amenable to stem cell therapies. How close do you think we are to any one of those? I don’t think we are as close as I would hope we are, and I don’t think we are as close as many other people hope we are. I wish it were different but the unfortunate reality is that if you want to do this kind of science properly, and I really think we need to do that, it’s a relatively slow process. You have to accept that there are going to be setbacks, and some things aren’t going to work, and other things will work. I am cautiously optimistic that within a decade, macular degeneration might be one of the first diseases where we see a substantial impact in a significant number of patients using stem cell technology. I have some optimism, and to me the basic idea behind that approach seems very straightforward and logical. And so I would say I am pretty hopeful on that. I think we are going to see some progress on diabetes too. I definitely wouldn’t use anything close to the word ‘cure’, but then again I think that you can see a pathway to helping patients via stem cell technology. It might take a decade, but you can see a roadmap where you can regenerate either endogenous beta cells that were dormant, or put in a new mini-pancreas from stem cell-derived beta cells. I believe there are definitely reasons for hope. 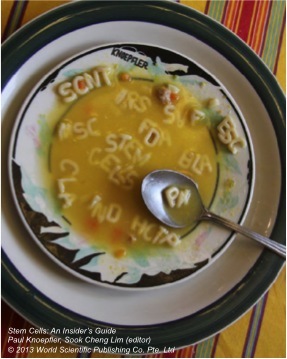 You also encourage us to “get your geek on” and think about far-out applications of stem cells. Of all the ones that you discuss in your book, which would you most like to see happen? I would love to see whole organs becoming available. Because nowadays, for example, if you get really serious liver disease, in the end there is a very good chance that is going to kill you even if the rest of your body is healthy. So I think this idea that you can just go get a new liver, or a new pancreas, or regrow your hand; I think that’s both really cool and practically speaking could have a spectacular impact on human health. I also like space related stuff. I was surprised to find that NASA actually funds a lot of research for stem cells in space. That is one of my own stem cell geeky fascinations. I think that is kind of cool. I have mixed feelings on cloning, I have actually come out against some of that stuff. I think it is going to be a tough one technologically speaking, but it’s very fascinating and it does capture peoples’ imagination that they might see a woolly mammoth. I am not so sure about human cloning: some guy recently bought John Lennon’s old tooth, because he wanted to clone John Lennon. I guess he was hoping to get some DNA or something. There are a lot of weird, potentially dangerous, yet fascinating ideas out there. You have been named one of the Top 50 most influential people in the stem cell field. Where do you think the influence comes from, and how do you intend to use it? When I started my career I would have hoped that my influence was purely scientific, but I think realistically that ranking in the top 50 must have had a lot to do with my blog and me being somehow a leader in stem cell social media. I know from the people who confidentially contact me that a lot of the other top 50 and other stem cell bigwigs do read my blog very regularly. It doesn’t mean that they agree with me, and they may even think I am totally crazy on some topics, but they come and read it so I think that is where that influence comes from in a large part. My hope is to use my influence in a positive way: one of my biggest goals is to get people communicating more, people who wouldn’t normally talk to each other. And also to get patients connected up with resources. And I have definitely encouraged patients to try to find researchers’ emails in articles: the researcher may not respond to you, but then they might. That is my biggest goal, to get people more interconnected and educated. 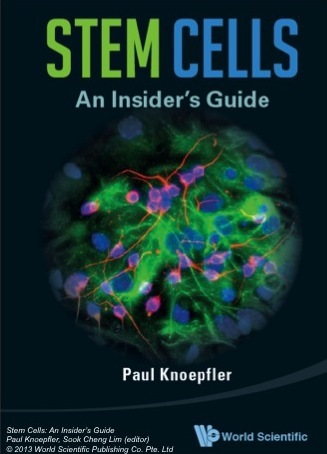 Is is amazing the effort of paul Knoefler to engaging public into stem cell biology. 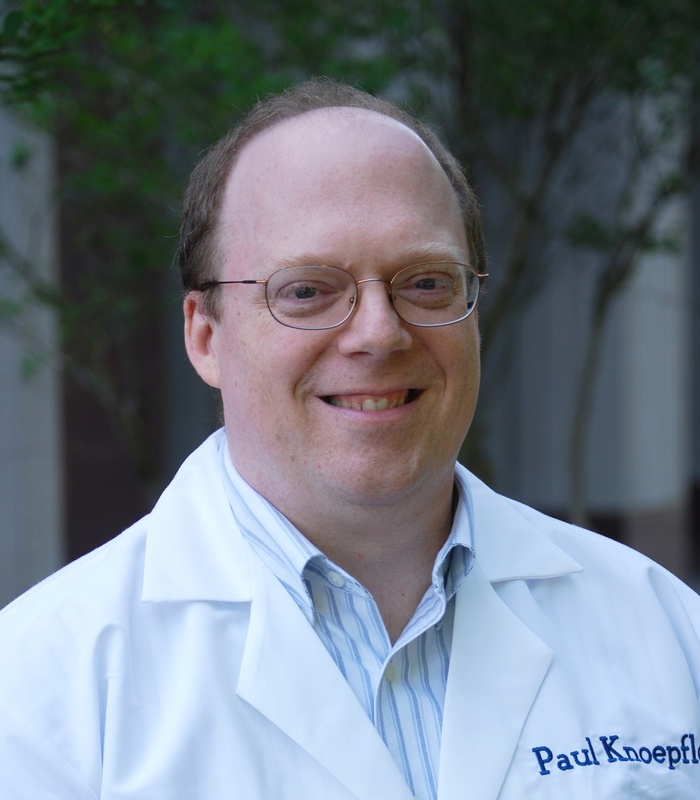 Recently, the blog he has creted to post results regarding STAP cells is proving very helpful for the scientific community. I shall try get one copy. It the new agenda on my list to convey the right information, the fact, the truth to the people. I also try to assist the medical field in Thailand to be able to utilize the technology at the economical and access to the less income societies. I would like some info re stem cell therapy for TBI. Mt 25 year old son about to attend medical school was assaulted in a random act of violence.